Native pollinators are indispensable to a healthy ecosystem. heavily influencing the growth and propagation of flowering plants and trees. Click here or on the image above to explore common native bee species. Click here or on the image above to learn about common native bee species! • Over 30,000 species, with 4,000 here in the United States and Canada alone. • Native bees play an essential role in the pollination of our commercial food crops and are far more efficient than the honeybee. • Around 70% of native bee species live in the ground, with the other 30% using tunnels in wood made by other insects or friendly humans. • The vast majority are solitary species, however there are some social native bees that live cooperatively in nests. • Most native bees do not sting and do not have a strong aggressive or defensive instinct. When it comes to flight or fight, they will choose flight unless stepped on or trapped. • While native bees cannot produce honey in the way that honeybees do, they are far more efficient pollinators. Suggested Reading: Continue exploring our native bee page to learn about common species and visit our resource page for additional reading. • While caterpillars feed on the foliage of host plants, butterflies provide pollination to plants by flapping their wings among the blooms. 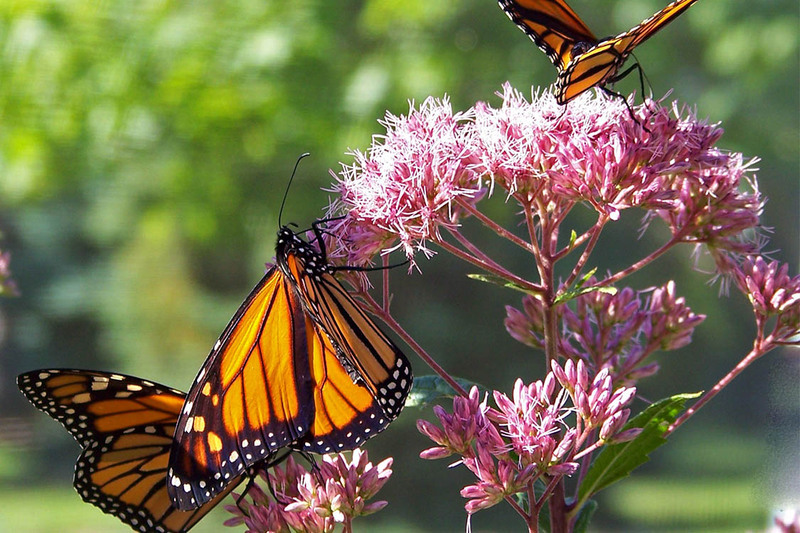 • Butterflies prefer flat, wide flowers that provide large landing pads such as prairie blazing star and golden rod. • Some species last mere weeks in their final butterfly form, allowing for multiple generations of butterflies to be born every mating season. Suggested Reading: Attracting Native Pollinators. Find this book on our resource page. • There are over 10 times the number of moth species in North America compared to butterflies. 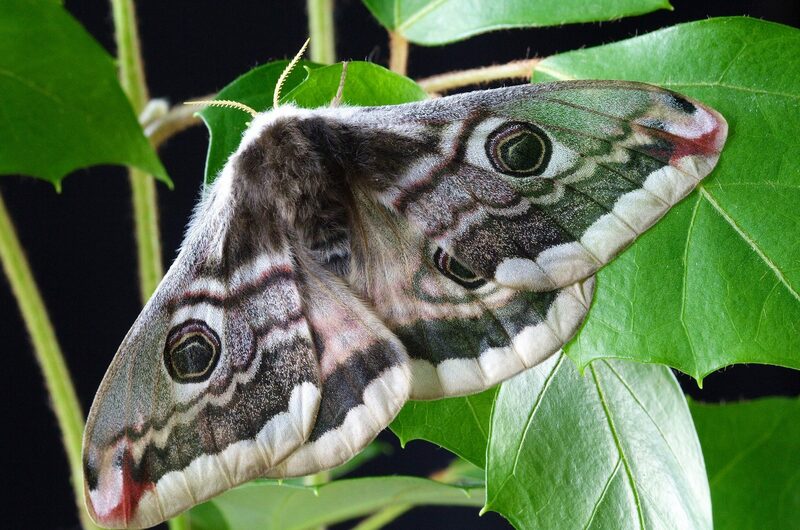 • Moths are the most important night time pollinators, however there are species that are active during the daytime. • Some of the fastest known flying insects are moths, capable of reaching 30 miles per hour or more. 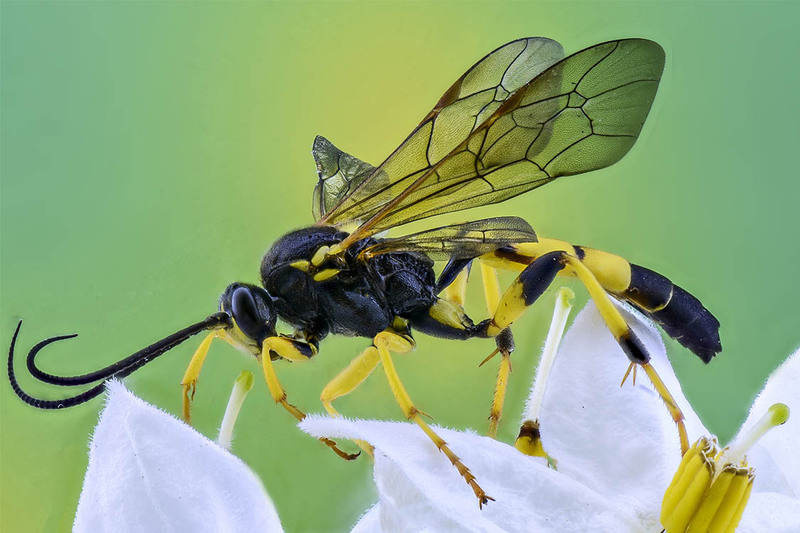 • Closely related to bees, wasps feed their young protein in the form of prey, opposed to bees who collect pollen instead. • Several species are social and are defensive of nests, becoming more aggressive in fall as their primary food sources decline. 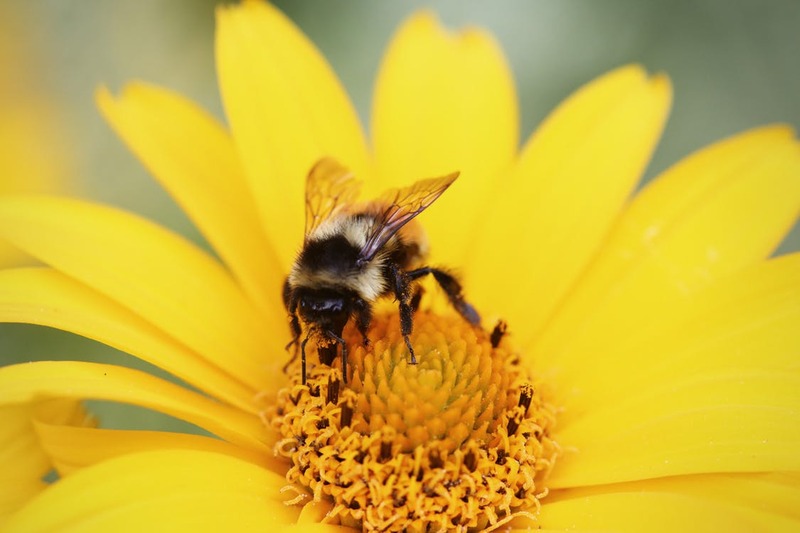 • Although their main goal is not to collect pollen, they still provide essential pollination services and they are an excellent source of garden pest control. Suggested Reading: Bees, Wasps, and Ants, The Indispensable Role of Hymenoptera in the Gardens by Eric Grissell. Find this book on our resource page. Attract beneficial pollinators with a Spriggly's Beescaping "Plant-by-Number Garden Guide"
• There are over 12,500 known species of ants, and some species live with other species in the same nest. • Ants disperse the seeds of almost 50 percent of the world's plant species. • They aerate and mix soil, helping to recycle dead and decaying nutrients. • Ants are extremely resourceful. 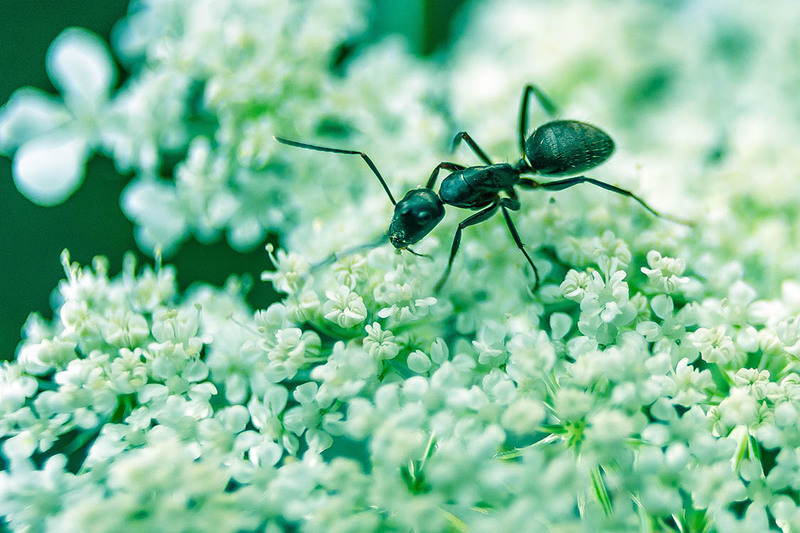 Certain ant species "farm" fungus to eat using pieces of leaves, while others "herd" honeydew producing insects such as aphids and protect them in exchange for their nutritious honeydew. • Over 450 species in North America, the vast majority of which are predators as larvae and as adults. • Although lady beetles are commonly called "ladybugs", they are actually a species of beetle. • They feed on many garden pests including aphids, mites, and scale bugs. • Adults feed on nectar and pollen as well as pests, making them beneficial for both protection and pollination. • Some vendors will sell lady beetles for garden pest control, however be mindful these are generally not native and can be quite invasive. Instead, try to attract native lady beetles to your garden. • If you would like to include some lady beetles favorites try cosmos, dill, goldenrod, or coriander, which are great for all pollinators. Suggested Reading: Attracting Beneficial Bugs to Your Garden. Find this book on our resource page. • Lacewing bugs are predators as both larvae and adults to pests such as aphids, Colorado potato beetles, and spider mites. • Mostly nocturnal, they can be found in shelter under leaves during the day. • Certain species "sing", similar to crickets, in order to attract mates. • Although these insects do not assist pollination directly, the protection they provide to gardens is reason enough to attract them! • They especially like mountain mint, but are also attracted to cosmos, goldenrod, and coriander like ladybugs. • In the United States, hummingbirds are the most beneficial bird pollinator especially for wildflowers. • Birds are an active predator in the garden providing natural pest control against insects such as aphids. • Birds are also great for garden weed control. • Providing bird baths, feeders, and houses are great ways to attract them to your garden. "Experts believe that birds and insects eat more than 95% of weed seed that grows each season"
- From Birds in your Backyard by Robert Dolezal. Find this book on our resource page. • Guano (bat droppings) is an incredibly effective fertilizer. • Some species of bats are predators of night flying insects that can be damaging to your garden. • In general bats can be divided into three groups: insect-feeding like the ones described above, nectar-feeding, and fruit-feeding. 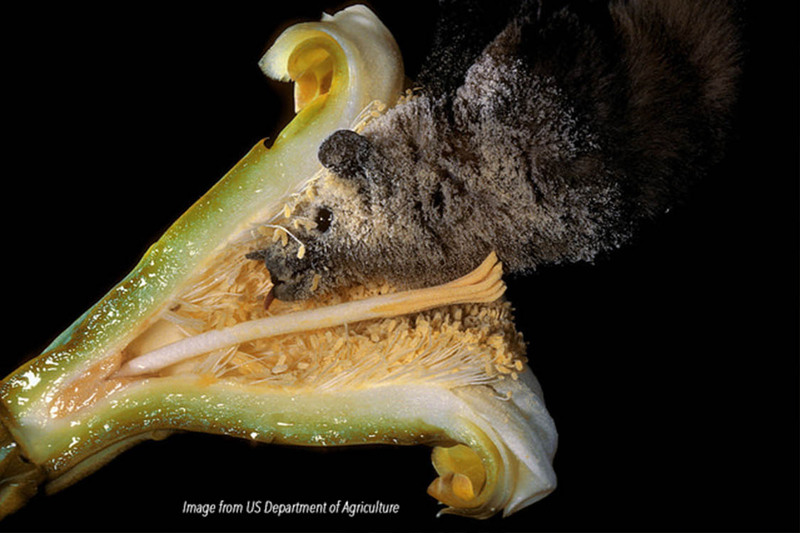 • Nectar-feeding bats pollinate over 300 species of fruit, including bananas and mangoes. In the United States there are three species of nectar-feeding bats living along the Mexico/Arizona border. • Fruit feeding bats are especially effective seed dispersers. • Through the dispersement of seeds, bats heavily aid in the regrowth of cleared forest habitats. Suggested reading: American Bats: Online Activity Guide, National Wildlife Federation. Find this guide on our resource page.